Whitehall, which does not shy away from collaborating with authoritarian leaders, has to make a difficult choice in the near future between its two authoritarian friends that are hostile to each other: Saudi Arabia’s Muhammad bin Salman (MBS) and Turkey’s Recep Tayyip Erdoğan (RTE). It’s not known how much the Saudi Crown Prince Muhammad bin Salman’s visit to the UK relieved the British economy experiencing the trauma of Brexit. Surely the deal that could reach $90 billion in the coming five years must have increased the morale in the British defence industry. However, this ‘tip’ handed to the British economy must be repaid at some point. Muhammad bin Salman, who is quickly moving towards becoming the new strongman of the Middle East, despite packaging this transformation in mostly meaningless and highly delayed reforms, has returned from London after gaining international recognition and added support for his ambitious 2030 projects. Before Muhammad bin Salman’s visit, the British Prime Minister Theresa May answered criticism directed to her at the British Parliament. She was perhaps right when she said that the significant historical bonds that her country has with Saudi Arabia has saved the lives of hundreds of English people. But with this optimistic worldview, May was ignoring the fact that Muhammed bin Salman’s aims regarding the future were conflicting with the aims of the UK’s other allies in the region. It seems that Whitehall, which does not shy away from collaborating with authoritarian leaders, has to make a difficult choice in the near future between its two authoritarian friends that are hostile to each other: Saudi Arabia’s Muhammad bin Salman (MBS) and Turkey’s Recep Tayyip Erdoğan (RTE). Both countries are known in recent years to be lucrative customers of the British defence industry. It is also well known that the British government prefers silence in the guise of ‘critical engagement’ when it comes to the war crimes committed by Saudi Arabia in Yemen and by Turkey in all regions of Kurdistan, and when it comes to both countries’ human rights violations towards their own citizens. 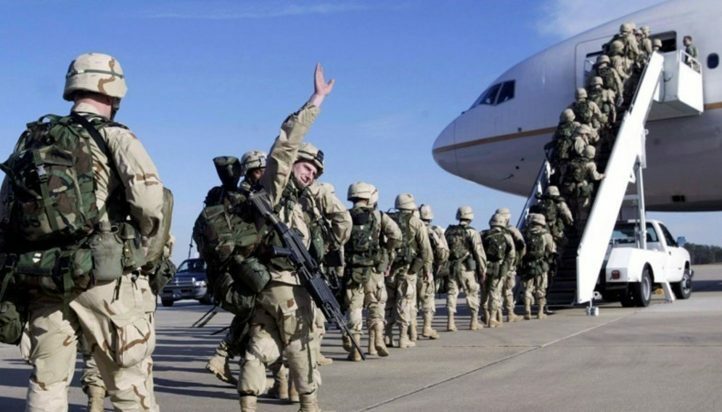 However, it is not a sustainable foreign policy strategy to flirt with both MBS and RTE, who set their eyes on being the unnamed caliph of an Islamic Middle East. Two news pieces that came out right before the Crown Prince’s visits to UK and US were like messages to Western leaders, telling them to ‘side with the Crown Prince, not with the Turks’. Just like Recep Tayyip Erdoğan’s saying repeatedly to the anti-ISIS coalition in Syria and Iraq that they should ‘work with me; not with the Kurds’. The first message came before MBS’s visit to Egypt, when MBC, the Dubai-based channel whose shareholders include the Saudi princes, announced that it placed a ban on all Turkish TV series. Everybody knows that this ban is related to the strong overt symbolism of Ottoman leadership in the Turkish TV series standing for RTE’s image of ‘Leader of the Future’ that he is trying to sell to the Muslim world. Arab leaders tend to refute these kinds of utterings which they make during off-the-record meetings, through their embassies. 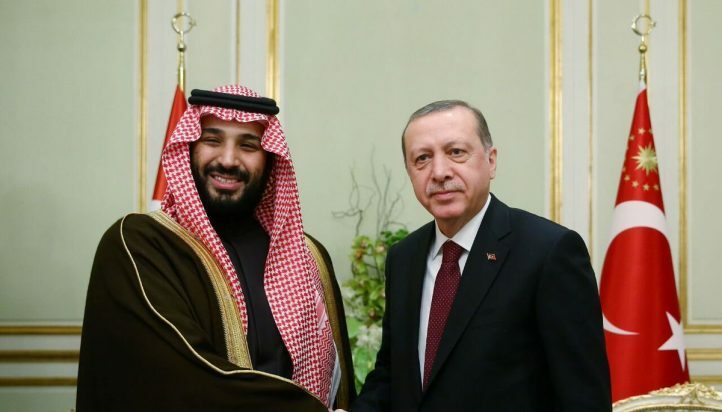 However, the Saudi ambassador in Ankara, in his statement only said that the Crown Prince Salman’s words were misunderstood, adding that the ‘evil triangle’ mentioned in the Prince’s statement are ‘Muslim Brotherhood and radical groups.’ Surely this explanation does not exclude Turkey from the ‘triangle of evil’, since the Crown Prince had accused Erdogan for collaborating exactly with these ‘evil powers’. 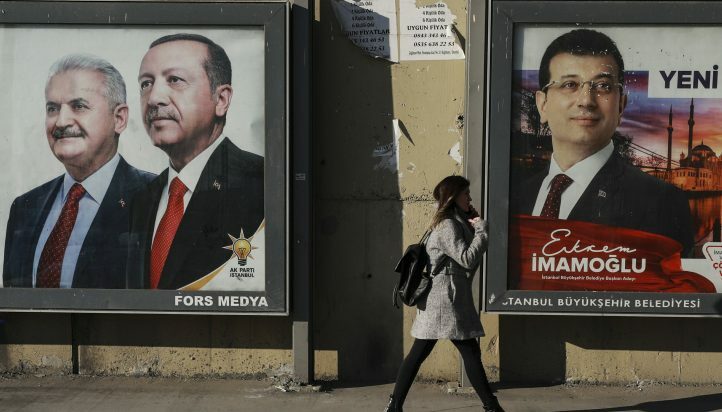 It is clear that the power struggle between Turkey and Saudi Arabia will not stop easily and this rivalry might soon evolve into a new level whereby the UK will have to make a difficult choice between its two authoritarian allies in the region. It is obvious that Westminster will try to avoid any meddling with the dogfight between MBS and RTE but given the fact that ambitions of the two authoritarian leaders outreach their immediate geographies with implications for several Muslim members of the Commonwealth, the clash seems to be an issue of not if, but when. The obvious and more immediate clash of interest between Turkey flirting Russia and the UK at the same time will only add spice to the already hot Middle Eastern dish. 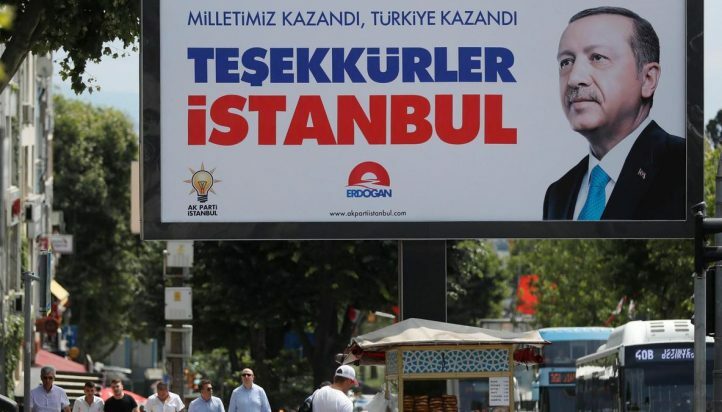 It seems that the price of good relations with Turkey will be heavy for the UK, given the conflicting attitude of Turkey towards UK’s friends and Turkey’s friendly relations with UK’s global rivals. 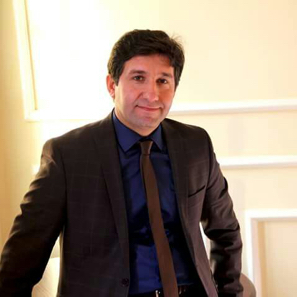 Turgut Mehmetoglu is a freelance journalist and an expert on MENA region. He lived in Egypt as a freelance journalist from 2013 to 2017. He is a regular contributor to Turkey Institute.